As The Sacred Center continues to grow, one of the things I hear our students and visitors say is that they feel truly welcomed, seen, loved and accepted for who they are. Nothing could make me happier than this...this is the "why" behind all that we do here... to provide a place where bodies heal, hearts open and minds find new levels of clarity. 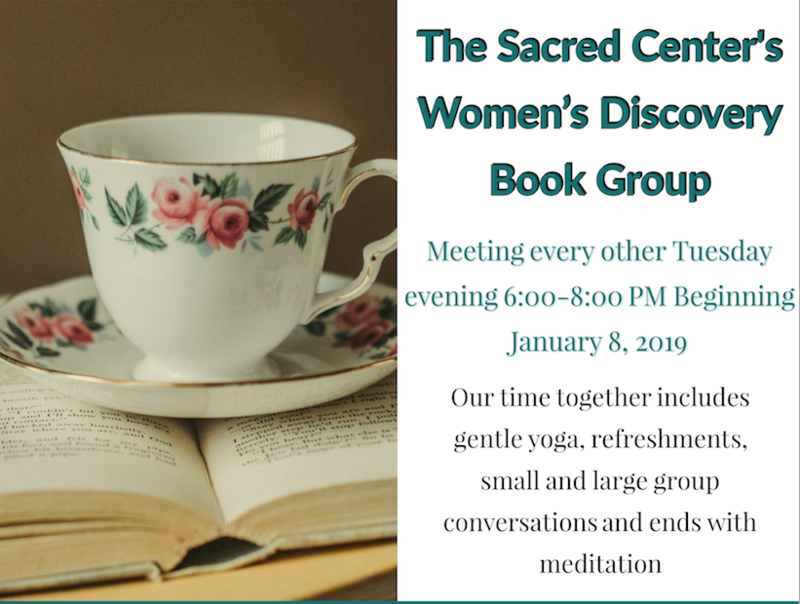 If you are longing to step more deeply into community or if you simply have the desire to expand your spirituality, then please consider joining our Women's Discovery Group. About 20 of us gather every other Tuesday night, to share our challenges, our victories, our questions, our wisdom and to deeply encourage each other. Women of all faiths, all paths are welcome. This session beginning in January 2019, we will be reading "The Wisdom of Sundays" - Life-Changing Insights from Super Soul Sunday Conversations, which features selections from the most meaningful conversations between Oprah and some of today’s most-admired thought-leaders. We will have exposure to a buffet of spiritual perspectives on topics like Awakening, Mindfulness, Intention, Forgiveness, Grace, Love, Connection and more. The cost is $150 for 11 meetings plus $20 for the book. You can get the book at the first meeting. If you need financial assistance or a payment plan in order to attend, I am happy to help, please email me. As we transition into a new year with untold possibilities, I am ever-grateful for the support of St. Mary's Church, which has helped make my vision a reality.